League leaders Napoli will be aiming to extend their winning run in Serie A to eight matches when they host Carpi at their Stadio San Paolo on Sunday afternoon. Over the years the Partenopei have turned their stadium into a real fortress and you should bear in mind that they are eyeing their tenth home win of the season. 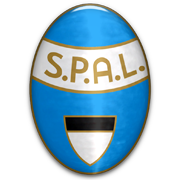 The Neapolitans have been impressive under Maurizio Sarri in the 2015/2016 Serie A campaign and we do not believe that the newcomers are capable of spoiling Napoli’s party at Stadio San Paolo. Fabrizio Castori’s men were more than unfortunate not to pick up one point from Wednesday’s clash against Fiorentina as Paulo Sousa’s men scored the winner in the dying minutes of the match. Anyhow, the relegation strugglers will have a big fish to fry in Sunday’s game in Naples and we predict that they will return home empty-handed.